Are you dealing with an ERP software failure and need an expert witness? Today’s complex business systems such as Enterprise Resource Planning (ERP) software can fail, and when they do it can result in significant financial losses to a company. In such cases, careful and impartial analysis, forensic investigation and courtroom expert witness testimony can help answer your tough questions. Customer Relationship Management (CRM) applications. He has been a consulting and/or testifying expert in nearly 100 cases involving computer systems alleged to have software defects, faulty operation, and/or defective performance. He has been engaged for counsel by both software users and vendors for assignments involving some of the industry’s largest software developers. Reliability or performance below minimum industry standards. Testified for a Regional Wholesale Construction Products Distributor that was sold a manufacturing ERP software system which FAILED to perform crucial product distribution functions including multi-warehouse inventory management, over-the-counter sales, etc. (favorable jury verdict). Testified for a Manufacturer of Medical Products against a major ERP software developer regarding a version of its software that was represented as having been fully operational and tested, but was so DEFECTIVE and UNRELIABLE that it was ultimately withdrawn from the market (favorable arbitration decision). Testified for a Maintenance Management Software Developer relating to a service management software system that passed all buyer-specified acceptance tests but the BUYER REFUSED PAYMENT (settled favorably after deposition). Testified for a Truck Dealership against a major ERP software developer regarding software that was represented as being “fully integrated,” but showed obvious software DEFECTS when passing critical data between its own modules (settled favorably after deposition). Produced an expert witness report for a Medical Claims Administrator relating to a CRM software package that “CRASHED” several times per day (settled favorably prior to testimony). Produced expert witness reports and testified in court about several matters (on both sides) relating to problems allegedly caused by (a) FAULTY conversion of ERP software from one operating system to another, and (b) development of DEFECTIVE web-based functionality. With more than 40 years of experience in the computer industry, Brooks Hilliard CMC® CCP is the only actively practicing expert witness in the world who is both a Certified Management Consultant™ (CMC), an International Standards Organization ISO/IEC 17024:2003 accredited certification, and a Certified Computing Professional (CCP). This means Brooks knows the intricate details of how intricate computer and software systems work and is qualified to give you the answers you need for your software case. Mr. Hilliard has been engaged and testified in nearly 100 cases involving manufacturing, distribution, publishing/media, professional services and government, as well as applications in a wide variety of other industries. Issues covered includes software and/or system installation, implementation, customization and modification (particularly for ERP and CRM software), as well as project management, support and other services provided by software firms and independent contractors. Whatever your case, Mr. Hilliard knows how to provide you with the expert witness analysis, investigation and testimony you need to win your case. 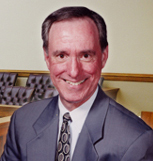 Mr. Hilliard knows now to prepare expert witness reports and testimonies to WIN your case. 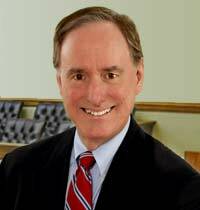 His reports and testimonies have included review of actions by software developer, implementation partner and software licensee; review of electronic discovery; production of opinion letters and affidavits; assistance in case strategy; preparation of interrogatories and deposition questions; deposition testimony, trial testimony and assistance in settlement negotiations, and more. Get the software expert witness help from a seasoned professional: Brooks Hilliard. If you have questions about computer systems having software defects, faulty operation, and/or defective performance, you need answers to your tough questions. Call Brooks Hilliard at (602) 264-9263 for your free consultation.